Compare prices from several car hire companies in Majorca Airport and find the best price for car rental. Our prices always include unlimited mileage and insurance. Palma de Majorca Airport (PMI) is located just outside the capital Palma de Majorca in the popular Mediterranean island of Majorca. It takes about 10 minutes to drive to the airport, and you get there, follow MA-19 east, which passes near the airport. There are both bus stops and taxi stand outside the arrivals hall. 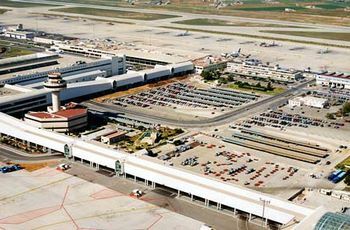 Palma de Majorca Airport is Spain’s 4th largest airport and is one of the busiest in Europe during the summer season. In 2009, employed over 20 000 000 passengers in the airport. Companies such as Ryanair, Easyjet and Thomson airway housed here and offers services to include Dublin, Paris and London. The airport offers facilities such as car hire firms, post office and shops selling perfume, alcohol and fashion. There are many restaurants, bars and cafes.